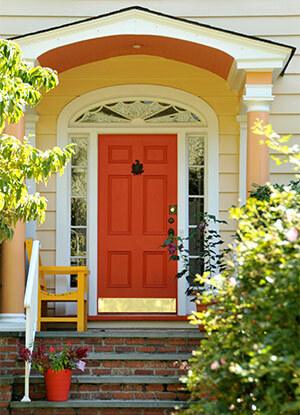 Earth Smart Remodeling, Inc. installs new exterior doors in styles and materials to fit your needs. Our professionals will handle the entire process from start to finish – from helping you choose the right type of door to the actual installation. Call us today at 1-844-707-7708 or fill out our online form for a free no-obligation estimate. If you live in Haverford, Cheltenham, Glenside or nearby areas in Pennsylvania, let us help with your home remodeling project! Consistently listed as a “Top 100 Manufacturer” by Window & Door Magazine, Sunrise Windows & Doors offer both style and functionality for any window need. Expertly installed by licensed local dealers, you can rest assured that you be happy with your new windows. 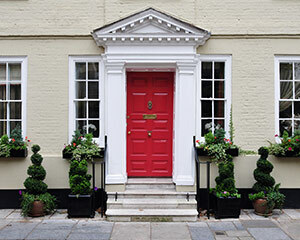 Statement entry doors that perform! Sunrise Windows not only specializes in windows, but also in creating the same high quality, thermally-efficient entry doors. With three different collections to choose from, replacing your entry door has never been easier. Our doors are custom ordered to ensure a perfect look and fit every time. Contact Earth Smart Remodeling, Inc. today to learn more about our window and door replacement options and to schedule a free estimate in Drexel Hill, Abington, Horsham, Cherry Hill, Feasterville Trevose, Huntingdon Valley, King of Prussia or nearby.